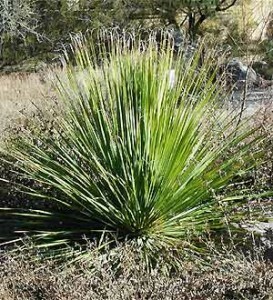 Spanish Bayonet is a large, sprawling yucca. 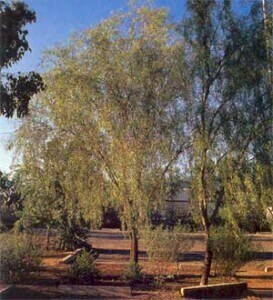 In Southern Arizona, it reaches an average height of about 10 feet tall and clumps to about 10 feet wide. Growth is slow. Stiff, dense leaves are medium green with sharp points. It tends to bloom when under stress situations. Extended 2-foot pinacles of cream white flowers appear in summer. Leaf margins are smooth. Variegated forms are also available. 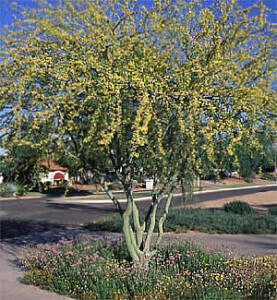 Plant Spanish bayonet in full sun or partial shade in low-traffic areas. 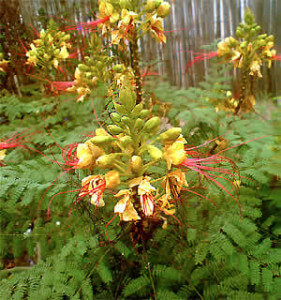 This plant is very sharp and can be dangerous. 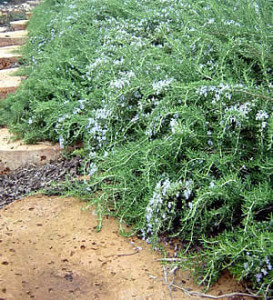 It is tolerant of many soil types, including rocky, native soils. Cold weather tends to turn the leaves purple. Irrigate Spanish bayonet every four days for the first month. Water established plants deeply once a month in the summer. Minimal water is required in the winter months, unless conditions are extremely dry. Carefully remove old, dead flower stalks.